OF CONTROL AND RESULT IN SEVERE INJURY OR DEATH. 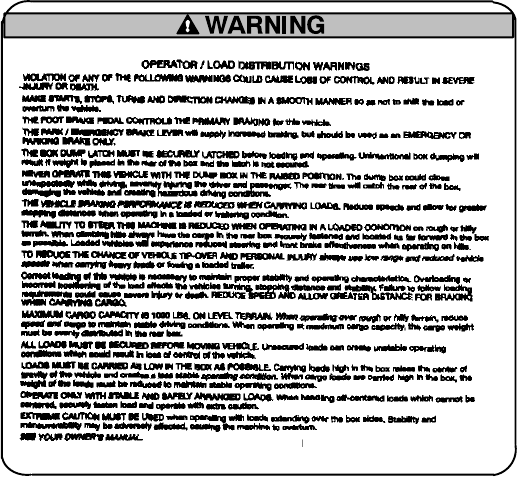 MANNER so as not to shift the load or overturn the vehicle. should be used as an EMERGENCY OR PARKING BRAKE ONLY. box and the latch is not secured. the vehicle and creating hazardous driving conditions. in a loaded or trailering condition.